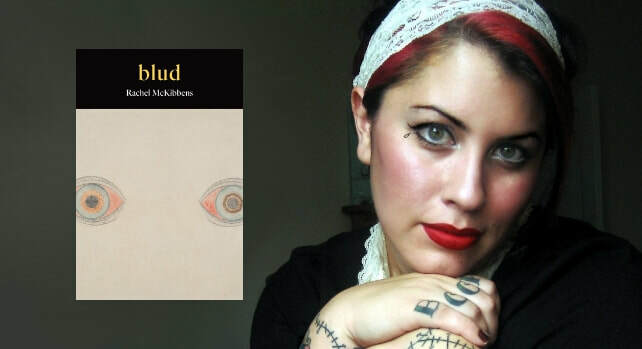 Despite all that has been written in poetry about trauma and its devastating influence, blud by Rachel McKibbens manages to say something new, and says it in howling, brutal lines that deserve repeated visits. McKibbens covers a landscape filled with many varieties of violence, with the constant presence of mental illness, and the weight of dysfunctional family and its many-headed obligations. The central monster of the book is the question of existence, of thriving, as the historical object of violence in its many forms. What mechanisms are available to cope and combat? How is a person warped and made/remade under the constant bombardment of violence? It is the way the book discovers these questions that propels it, that makes it worthy of continued examination. Rachel McKibbens is a Chicana poet, activist, playwright, essayist, and two-time New York Foundation for the Arts poetry fellow. She founded The Pink Door Women’s Writing Retreat, an annual writing retreat open to women of color. She is also the author of Pink Elephant and Into the Dark and Emptying Field. Rodney Gomez is the author of Citizens of the Mausoleum (2018), Baedeker from the Persistent Refuge (2019), and the chapbooks Mouth Filled with Night, Spine, and A Short Tablature of Loss. His work has appeared in Poetry, The Gettysburg Review, Blackbird, Pleiades, Denver Quarterly, Puerto del Sol, and other journals. He works at the University of Texas Rio Grande Valley.